Here is a list of the 22 persons acquitted by a special CBI court in the alleged fake encounter killings of Sohrabuddin Shaikh, his wife Kausar Bi and his aide Tulsi Prajapati. 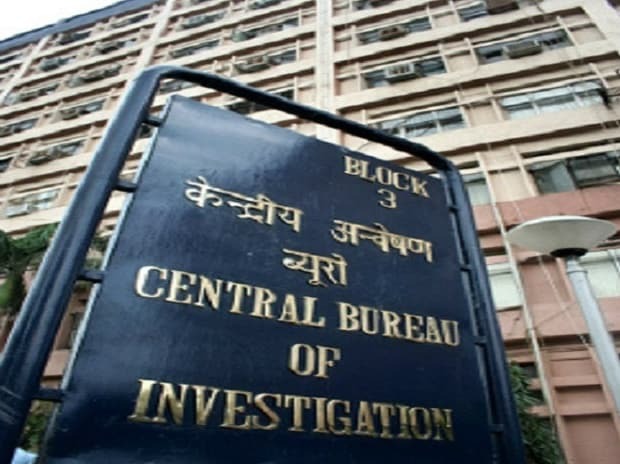 Special CBI Judge S J Sharma ruled the prosecution has failed to put forth any "documentary and substantive evidence" to suggest or establish the alleged conspiracy. Of the accused, 21 are junior-level police officials from Gujarat and Rajasthan. The other was the owner of a farm house in Gujarat where Shaikh and Kausar Bi were illegally detained before they were allegedly killed. The CBI said Shaikh, an alleged gangster, Kausar Bi and Prajapati were abducted by the Gujarat police from a bus when they were going to Sangli in Maharashtra from Hyderabad on the night of November 22-23, 2005. Abdul Rehman: Was then police inspector in Rajasthan and, according to CBI, was part of the team which abducted Shaikh and Kausar Bi and the one who fired at Shaikh. Narainsinh Dabhi: Was then inspector with Gujarat ATS and was accused of being part of the team which allegedly killed Shaikh. Mukeshkumar Parmar: Was then deputy SP in Gujarat ATS and was accused of being part of the team which allegedly killed Shaikh. Himanshusingh Rajawat: Was then sub-inspector of Rajasthan police and was accused of being part of the team that allegedly killed Shaikh. Shyamsingh Charan: He was then sub-inspector of Rajasthan police and was accused of allegedly firing at Shaikh. Rajendra Jeerawala: He was the owner of a farm house in Gujarat and according to CBI, had knowledge that his farm house was used by policemen to keep Shaikh and Kausar Bi and facilitated their illegal detention. Ashish Pandya: Was then sub-inspector with the Gujarat Police and was accused of shooting Tulsiram Prajapati. Ghattamaneni S Rao: Was then sub-inspector with Andhra Pradesh police and escorted Shaikh and Kausar Bi from Andhra Pradesh to Gujarat. Yudhvir Singh, Kartar Singh, Narayansingh Chauhan, Jethasingh Solanki, Kanjibhai Kutchi, Vinodkumar Limbachiya Kiransingh Chauhan and Karansingh Sisodiya: CBI said they were part of the joint team of Gujarat and Rajasthan police which allegedly killed Prajapati. Ajaykumar Parmar and Santram Sharma: Were then constables with the Gujarat police and allegedly part of the team which took Shaikh and his wife to Gujarat. Balkrishna Chaubey: He was then Gujarat ATS inspector and as per CBI, was present at the spot where Shaikh was killed. CBI said he helped in disposing of Kausar Bi's body. Ramanbhai K Patel: Was investigating officer with Gujarat CID and accused by CBI of 'wrongful probe' in the Shaikh encounter case. Naresh V Chauhan: Was then sub-inspector with Gujarat police and as per CBI, was present at the farm house where Kausar Bi was kept and also at the spot where her body was disposed. Vijaykumar Rathod: Was then Gujarat ATS inspector and accused of being part of conspiracy to dispose of Kauser Bi's body.